Don&apos;t ever let the haters say you can&apos;t rock sneakers to a wedding. Legendary customizer Mache is back with another sick custom job and this time he put his finishing touches on a pair of Air Jordan XIs for a sneakerhead&apos;s dream wedding. 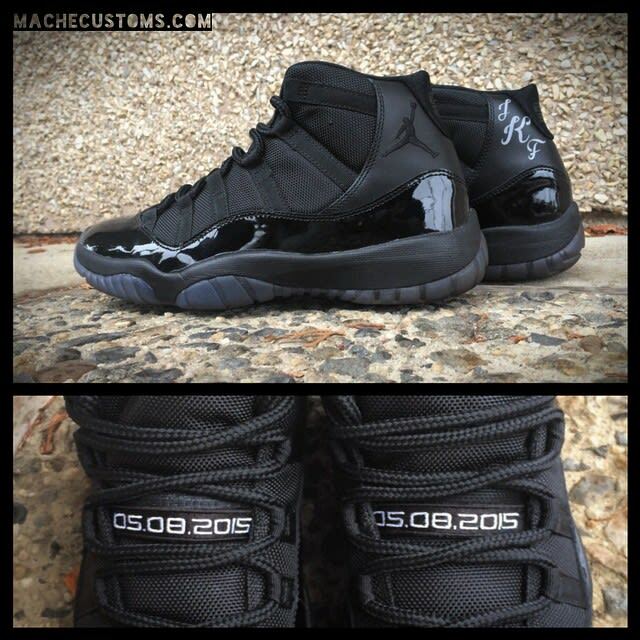 Meant to complement a tuxedo, these custom Js are murdered out in all black complete with the bride and groom&apos;s wedding date in place of the usual &apos;Jumpman Jordan&apos; insignia on the tongue. With the sheer number of XIs showing up at weddings these days, it&apos;s safe to says custom Air Jordans are now a requirement when you tie the knot.